More teacher gifts included Disney characters. These are inexpensive plastic balls from Michael's. 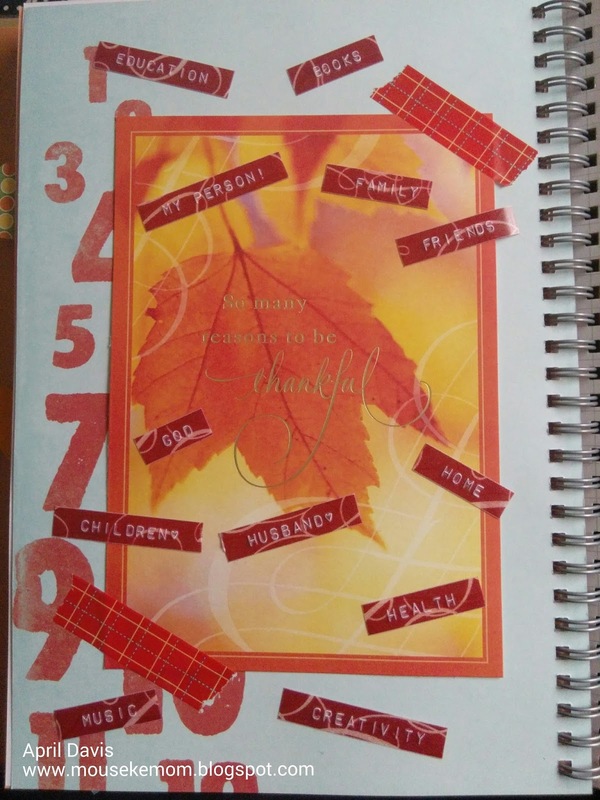 I used a window sheet and vinyl cut from Cricut cartridges. Once the images were placed on the window sheets, the sheet is wedged between the two halves of the plastic ball and sealed with a bit of liquid glass, before adding a hanging ribbon. 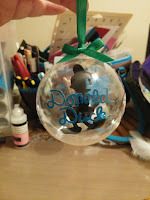 First up is Donald Duck and Mickey Mouse. I used the Mickey and Friends cartridge for the silhouette and autograph. The Mad Hatter is from the Disney Classics cartridge. He did not have an autograph so I used Doodletype for the "Simply Mad". They were a big hit and the teachers asked a lot of questions on how I did it. 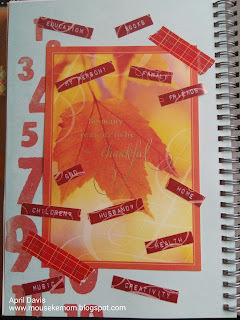 I warned you I was behind on my blog posts. As a teacher, I know there are only so many apple-themed items a person can own and generic stuff is cute, but quickly ends up in the goodwill pile. I always try to choose gifts for the teachers and para-educators that have special meaning and something they want to keep. Last year, was sharpie mugs featuring each person's favorite Disney character. This year, I asked for their favorite children's book or character. 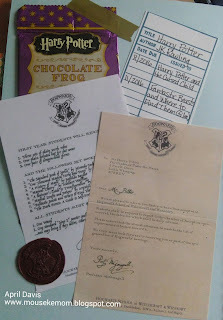 I got several who said Harry Potter. 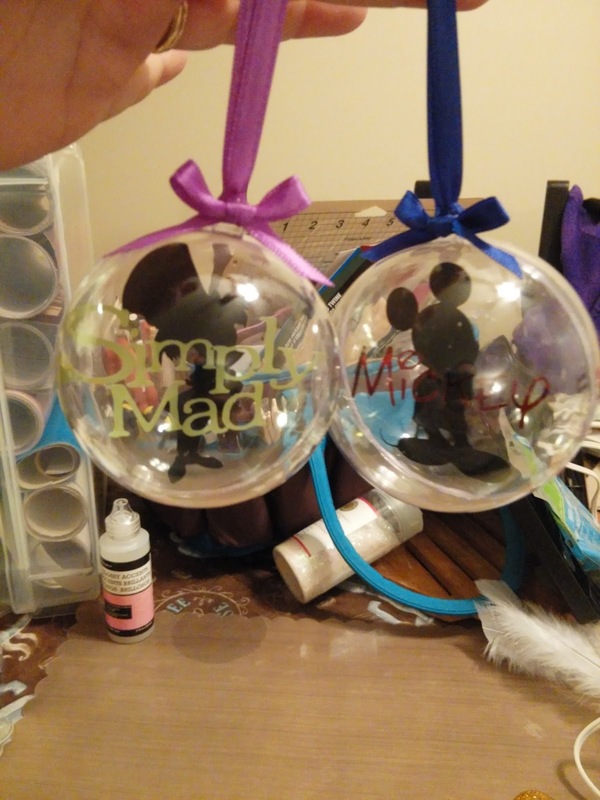 I did not want everyone to get the same ornament, so I made several different HP themed ones. Here they are! 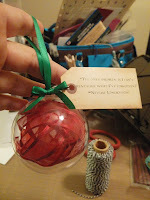 The Remembrall was filled with burgundy wired organza ribbon. I looks wispy but the wire allowed me to bend the ribbon different directions. 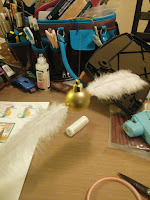 Once I sealed the plastic ball with a bit of liquid glass, I cut a strip of gold metallic washi tape in half, then placed it over the seam of the plastic ball. I printed Neville Longbottom's quote on a tag and tied it to the ball, along with a hanger. The cauldron was so easy. I found a pack of party treat cauldrons on clearance after Halloween and stuffed a bit of poly-fill into it to look like foamy steam. 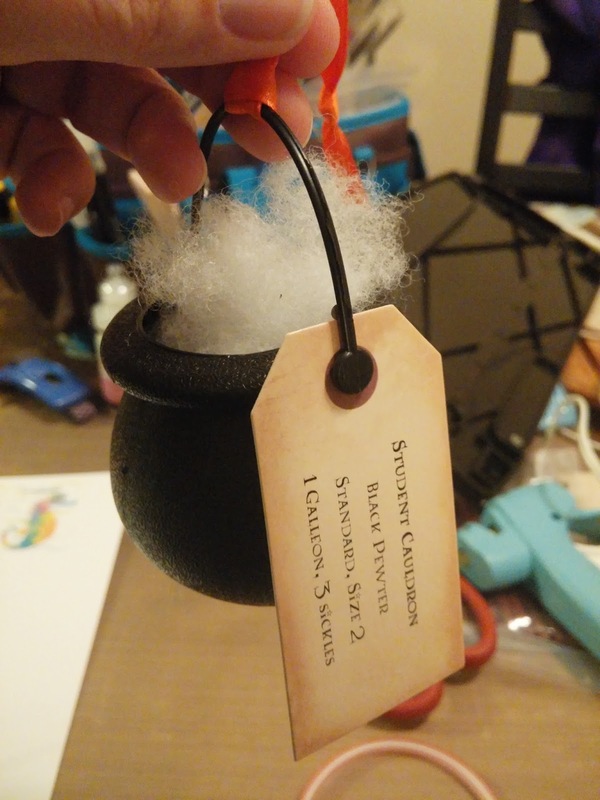 I printed the label from the Hogwarts school supply (standard cauldron, black, size 2) on a tag, then added it to the cauldron. The golden snitch is a pack of dollar store gold ball ornaments, feathers, and gold glitter hot glue.